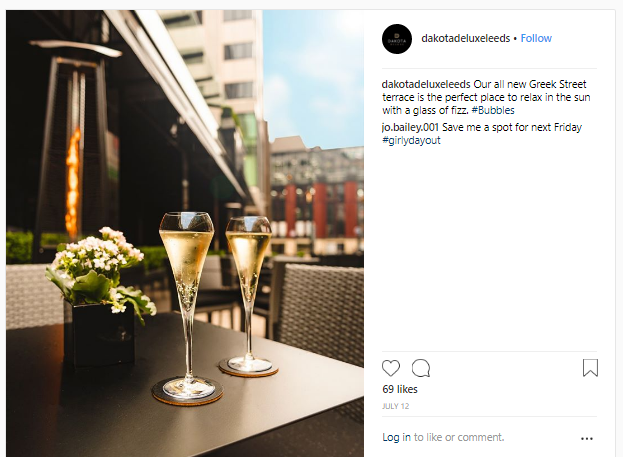 We’ve been working with Dakota Deluxe Leeds to launch their Champagne and Cocktail terrace on Greek Street, just in time for the summer heatwave. In partnership with Moet & Chandon, the new outdoor terrace offers a lavish new drinking experience for those looking to enjoy a tipple alfresco. Serving a tempting menu of sparkling cocktails and refreshing drinks, accompanied with small plates, the terrace has really gone down a treat with not only the locals but the media too. To celebrate creativity and design in buildings often perceived as dull and dreary, this month, we have been working with Looking4.com to launch their World’s Coolest Car Park competition, a PR and SEO campaign. From Amsterdam to The Alpes, Brussels to Belgium, ten of the worlds spectacular parking sites were shortlisted by Design Curial and Looking4.com and have competed in a public vote to decide which would take pole position. The shortlist alone generated 31 pieces of coverage across print and online, including the i Newspaper, BBC Online, The Times and Yorkshire Post. It was also featured nationally on Radio 2 (Belguim), Seattle Daily Journal of Commerce (USA) and GQ Italia (Italy) to name a few. Crucially, it has also been generating valuable links back to the client’s site. Cool. The winner will be crowned in July – stay tuned! The events were popular with centre visitors, and were an opportunity for the community to learn more about the holiday of Eid. It was a busy month at White Rose, as we also launched the centre’s new play area – the final part of the centre’s £25 million investment into its new outdoor leisure area The Village, which includes an 11-screen cinema with IMAX and five new restaurants. The area has also been deemed a Smoke Free Zone, in partnership with Leeds City Council and Child Friendly Leeds. Looking for something fun to do with the family? Check out our brand new play area… it's free too! Jumping happily on the World Cup bandwagon, we gave ourselves an excuse to fill our faces with a special World Cup lunch. Each team member brought a dish from the country they’d picked in the office sweepstake and we feasted!